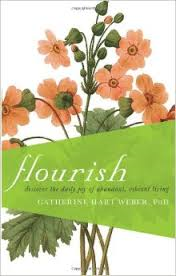 Flourish: Discover the Daily Joy of Abundant, Vibrant Living could change your life and the lives of those around you. 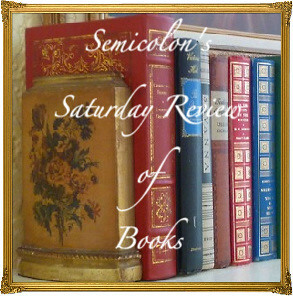 The book is organized according to some fruits of the Spirit love; joy and gratitude; peace; and hope. Using questionnaires, lists, exercises, spiritual practices, stories, and penetrating questions, the author guides us to an understanding of how Biblical principles can be applied in the turmoil of everyday life. We can flourish intentionally rather than languish due to spiritual carelessness and apathy, but most of us need some guidance. Hart Weber discusses being loved by God as well as knowing and loving Him, reminding us that we love God because He first loved us. She also encourages us to strengthen our relationships with others, pointing out that patience is how love reacts while kindness and compassion are how love acts. It is important to learn about forgiveness because ‘holding a grudge causes you to redefine a part of your life by how you have been hurt.’ Flourish gives detailed suggestions for overcoming grudges, showing kindness, providing a safe haven for others, and more. The next section, ‘Restoring a Heart of Joy,’ discusses joy in the Bible, pointing out that it comes from the Holy Spirit. This section tells us how to learn and practice both joy and gratitude. Being peaceful and calm, enjoying simple things, laughing, and reducing stress are all factors. We can spread this joy to others by being appreciative and contented. Understanding and reducing stress allows us to restore peace and tranquility to our lives. Of course, we all know that, but the question is, ‘How?’ The author gives prayerful, faith-based suggestions for dealing with worry and negative thoughts. She describes adrenaline addiction and explains how to overcome it. Drawing on her personal experience with Psalm 23, she encourages us with the Bible as well as the latest research. Finally she discusses hope in the face of adversity, explaining how God often uses suffering and patient waiting to make us grow. Not only is it possible to deal positively with the hard times, but one can also intentionally prepare for them by constantly turning to God and heeding His Word. While respecting different Christian traditions, Catherine Hart Weber speaks carefully about the importance of knowing God as He presents Himself, about how we get our “God-images,” and about how to align our thoughts with Biblical truth. She points out that our default mode is to be sinful and do sinful things but also gives suggestions for not quenching the Spirit. Throughout she assumes that she’s speaking to believers, and therefore she goes beyond the basic foundations of Christianity. She carefully avoids ‘psychobabble’ and questionable theories, concentrating instead on applying Biblical principles and on presenting related research results. Although many of us know both the Biblical teachings and the research results, the author has compiled them all into an organized and very usable guide. Several times Hart Weber discusses the importance of Christian meditation as practiced in the Bible. She clearly differentiates the Hebrew approach to meditation ‘thinking about God and His Word’ from the Eastern approach that is often associated with meditation’except in one passage in which the Holy Spirit is imagined to be controlled by breathing. Given the tenor of the rest of the book, I’m assuming this difficult passage is merely written imprecisely and that the author did not mean to say what she did. Because of its conversational style, and because the author weaves in her own personal experiences, Flourish can be read as an inspirational book. It can also be much more. With its worksheets, study guide questions, checklists, helpful appendices, informative footnotes, and website, this book would make an excellent course, either for individual study or for a small group. Unfortunately it lacks an index, and I had to take notes to be able to find topics and checklists again. Flourish can teach us to know and love God and to share this love with others. Since this is our purpose, such activities will indeed lead to joy and fulfillment. I recommend this book highly as a helpful, Biblical guide to Christian living. After reading Flourish, I’ve started to list a few blessings every day in a beautiful notebook that my dear daughter gave me, and I’m being more careful about my thoughts. I aim to study this book throughout the New Year. That sounds like a really good book! Very intriguing. You did a great job of evaluating it!